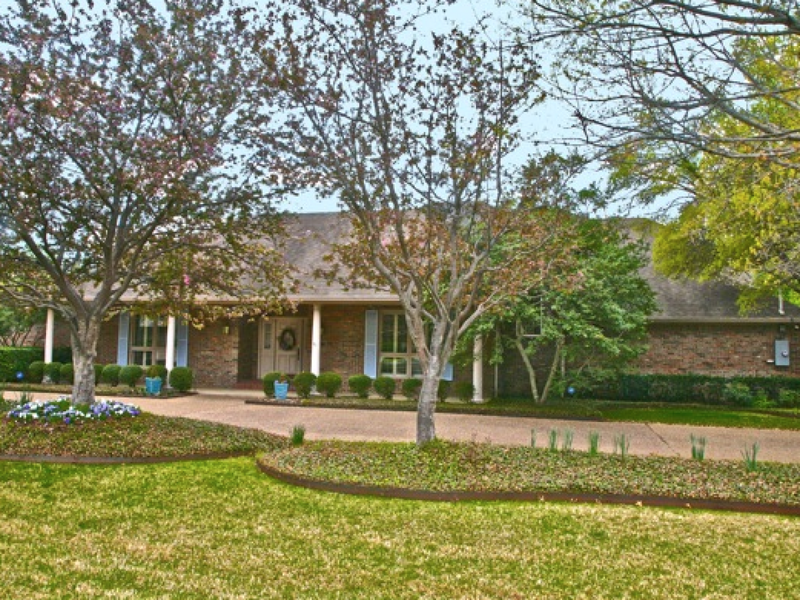 Tranquil views entice you from nearly every window of this Preston Hollow Home. 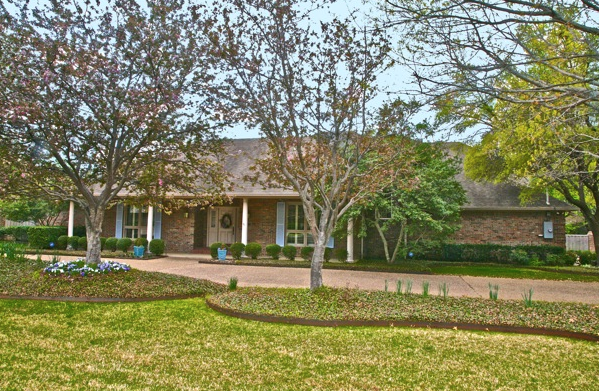 From the circular drive to the impressive backyard oasis, this home and lot is sure to impress. 4242 Park Lane encompasses 4-bedrooms (including a master suite with a lovely view off the pool from your sitting area) and 4 full baths. Imagine drinking your morning coffee and enjoying the peaceful view of the wonderous backyard or winding down at the end of a busy day with your favorite glass of wine. The home has plantation shutters throughout and a gorgeous view from every window. Plenty of alcoves within the yard to let your imagination run wild. Include your favorite art pieces and sculptures and create your very own back-yard retreat! Entertain effortlessly within this open floorplan built for company! Large living area adjacent to very spacious kitchen allows you to never be separated from your guests. Master bath has recent austin stone tile and ample counterspace. Often have out-of-town guests or family (or just need an escape?). Upstairs has a bonus room with cozy fireplace that could easily be a double-master. Need a library or media room? The options are endless! Feel like like a king or queen in your own fairytale while enjoying the picturesque view below from a patio on the 2nd level that extends the length of this room. A stunning lot on one of Dallas’s most prestigious streets….with enough room to upgrade and customize into your dream-home….4242 Park Lane just feels like home, doesn’t it?